Droxford Fire Brigade, now part of Hampshire Fire & Rescue Service, was formed in 1902 after the Midlington House fire in February 1902, which completely destroyed the building and in which two servant maids died. The fire station started out as a shed with a galvanised roof. The present fire station was built in 1939. Now a retained fire station, retained duty system firefighters come from every walk of life. They include shopkeepers, builders, plumbers, farmers, secretaries, engineers and directors of companies, together with people who are not currently employed. However, a key requirement to becoming a Droxford firefighter is that you must live or work within four minutes of the station. Average call outs are two or three times a week for one hour and training is held weekly. Firefighters do not just fight fires, they are involved in a wide variety of situations ranging from community fire safety, flooding, co-responding, road accidents and chemical spills to retrieving animals from awkward situations. 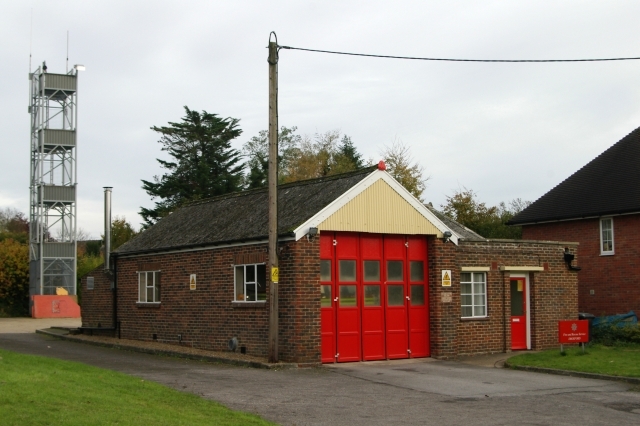 Droxford Fire Station serves the local community and surrounding areas.